This post is about the best college graduation gift ideas for 2019. We may earn commission on affiliate links used in this post at no cost to you. Read the full disclaimer here. Graduation season is around the corner for us soon-to-be college graduates! If you know someone who’s graduating from college this spring and need some ideas on what gifts to get them – you’re in the right place! Treat your college graduate to one of these college graduation gift ideas below! Does your college grad love coffee? Get them a coffee maker for their new apartment after they graduate? A keurig is also another great and more convenient option for coffee loving college graduates! This 7-in-1 Multi-Functional Cooker will make your college graduate’s life much easier in the kitchen. Especially if they’re not that great of a cook. This item will surely come in handy for your grad after college! Why not spoil your college grad with an Apple watch for graduation? They’ll love it! Staying active might be a challenge after you graduate college. This will help your grad stay on track with their workouts and motivate them to be more active. It may be time for a laptop upgrade after college. A Macbook is a great option for your college grad, especially if they love Apple products. Not a big fan of iOS for laptops? Get your college grad a Windows PC instead, like this one from HP. I’ve been using HP for years and I love it! Wireless headphones are very popular nowadays, and these Apple airpods are one of the best options on the market! Your grad is going to be on the go after they graduate from college. Get them a portable charger so they never have to worry about their phone dying while they’re out! Chances are, your grad is eventually going to need one of these. Whether it’s to focus at work, or at a coffee shop – this will definitely come in handy! Literally, everyone needs a Bluetooth speaker. My roommate had this one and the sound was amazing! Millennials nowadays are drifting away from cable TV. An Amazon Firestick is a great gift idea because it will allow your college grad to stream movies from Amazon on their smart TV! Lean in is an amazing book that will change your college graduate’s perspective on how their approach opportunities in the work force! Subscribe for more book recommendations! If you know your grad loves to travel, a good quality luggage set will be a great gift idea for their college graduation! Speaking of travel, this carry on bag is perfect for traveling and very convenient because of how it fits around your suitcase handles. 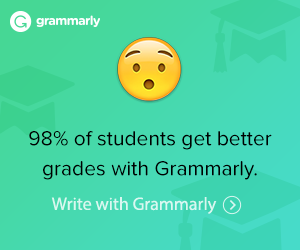 This will make your college graduate’s life so much easier! If your college grad loves makeup (like me), they definitely need one of these. It’ll make traveling with their makeup much easier and organized. This multipurpose backpack is a great option for your college grad! Now that your college grad is in the workforce (or will soon be), they need something to hold their business cards! This sleek one is a great way to make an impression while networking. This pink business card holder is another great style to consider for your college grad! When your college grad is moving into their new apartment they’re definitely going to need a tool kit. And chances are, it’s not something they’ve thought about either! When your college grad moves out they’re going to need a safe to store their important documents and belongings. Get this one from Amazon! Amazon sells almost anything so why not give your high school grad an Amazon gift card? Any other store gift card would be a great alternative as well! 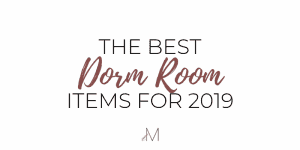 This post showed you over 20 college graduation gift ideas for 2019 that your grad secretly wants you to get them! For more gift ideas, click here. Check out these college posts!